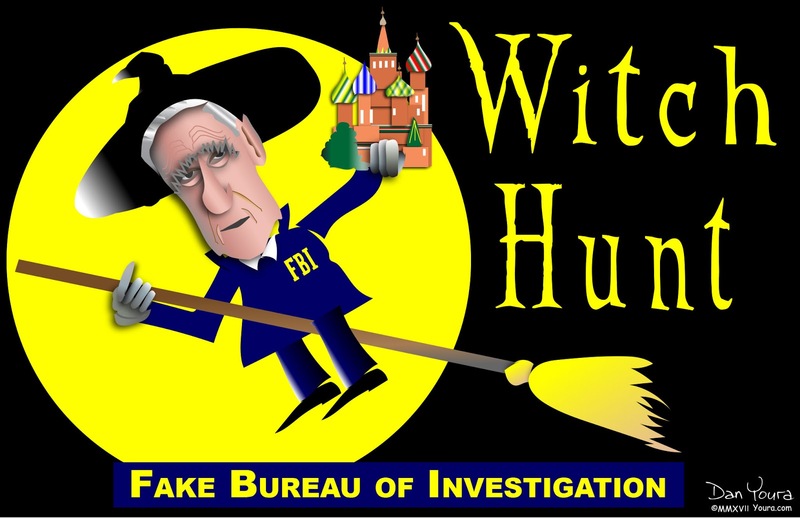 According to CNN, just in time for Halloween, Witch Hunter Robert Mueller and his team of Clinton friendly Attorney's have filed the first charges in this now infamous "Russia collusion" investigation. The timing of it, with many conservatives publicly calling for Mueller to resign or be fired due to his and the FBI's own conflict of interest, as well as the script being flipped regarding which Presidential campaign actually colluded, Clinton's or Trump's... is highly questionable if not downright predictable. -W.E. Special counsel Robert Mueller’s investigation into Russian influence in the 2016 U.S. election has resulted in its first indictments, according to a new report. CNN reported Friday night that Mueller has filed charges in sealed indictments. It is currently not known what the charges are or who they have been filed against, but CNN reported that multiple people could be facing charges. Those affected by the indictments reportedly may be taken into custody by as early as Monday. The indictments could affect former Trump campaign manager Paul Manafort. In September, a report from the New York Times alleged that Mueller told Manafort that he would be indicted. However, there is no indication Manafort is involved yet.